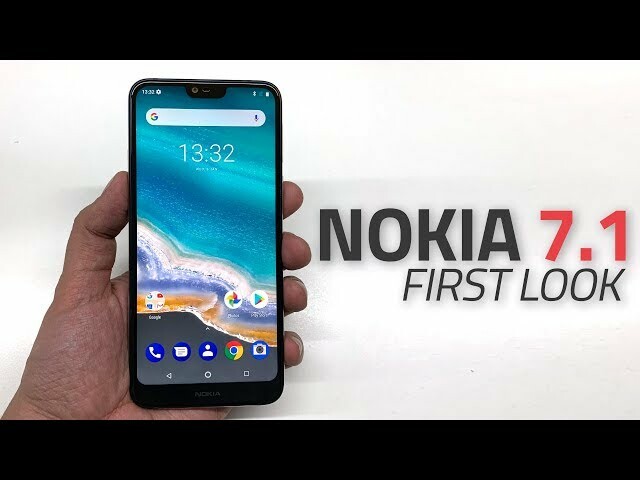 Nokia 7.1 has now become the latest smartphone from HMD Global’s bandwagon to get the Android 9.0 Pie treatment. It follows in the footsteps of the Nokia 6.1 Plus, Nokia 6.1, and Nokia 7 Plus to become the company’s fourth smartphone to get the stable Android Pie update. Nokia’s current lineup is part of Google’s Android One programme that facilitates a swift rollout of the latest software updates. Additionally, the premium dual-SIM 4GB RAM/ 64GB storage variant of the Nokia 7.1 is set to be released across markets in Europe starting this week. Separately, the top-end Nokia 7.1 dual-SIM variant with 4GB RAM and 64GB inbuilt storage has finally made its way to the European market, as per information shared on a Czech retailer’s website. Notably, at launch, only the 3GB RAM/ 32GB storage model of the smartphone had been released in European markets. Launched in October this year, the Nokia 7.1 sports a 5.84-inch full-HD+ (1080×2280 pixels) PureDisplay panel with a 19:9 aspect ratio and HDR10 support. The phone is powered by a Qualcomm Snapdragon 636 SoC, coupled with 3GB/ 4GB of RAM and 32GB/ 64GB of inbuilt storage. In the camera department, the Nokia 7.1 sports a vertical pair of dual rear cameras with a 12-megapixel primary sensor and a 5-megapixel secondary depth sensor. On the front, the handset bears an 8-megapixel fixed focus selfie camera with f/2.0 aperture and 84-degree field-of-view. There is a 3,060mAh non-removable battery under the hood.